Gear up for adventure, with plenty of time left for relaxation and beautiful ocean views. 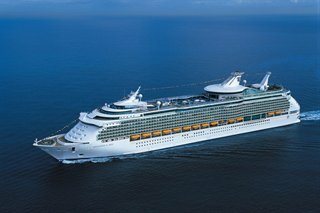 The incredible Navigator of the Seas® is home to an array of innovations that give you whatever type of vacation you desire. Climb a rock wall that overlooks the sea, or challenge yourself on the basketball court or mini-golf course. Achieve the perfect poolside zen or relax at the day spa. Liven up your nights on the Royal Promenade, with dining, dancing and duty-free shopping.